Many of you have been praying for Lucy and you’ve been asking for an update on her situation. We are sorry we’ve not been able to write you sooner, but have been waiting to gather all the details. Prit’s sister, Mary Hunter, and her husband are there in Fayetteville at this time with Lucy and P.G. Lucy had much fluid around her heart. The average person has around two tablespoons. She had around a pint. The doctors did a procedure to drain the fluid from the heart. Another doctor came the next morning, as she was recooperating, and said they wanted to do a bone marrow biopsy on her. The reason for this is that her bones are producing too much protein. The biopsy will determine if she has cancer. What followed was 34 x-rays, but Lucy was in so much pain that they had to give her morphine just so she could lie flat. She still has a tube in her chest from the heart procedure. We don’t know yet what has been decided about the biopsy since her pain level is so high. There was also a problem with her kidneys, so we’re fighting the good fight of faith on all fronts. We will be back in North Carolina on Wednesday. Thank you so much for your prayers. She truly needs them and is greatly encouraged when she hears so many are praying. 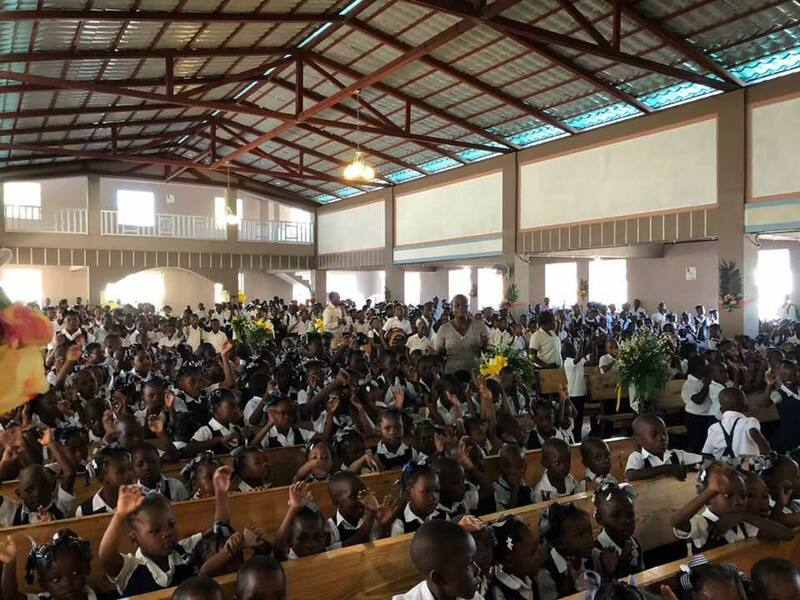 The churches here in Haiti have been praying continually for her recovery. We will give you another update soon. Thank you so much for the update . She is definitely in my prayers. I am definitiely praying for Lucy. She is a special lady. She has been so faithful in the work for Rehobeth Ministries here on the homefront. I am reminded this morning of how God has been with you all in life threatening situations BUT we have seen how God has been so faithful to bring you thru in victory. I am believing that Jesus is busy at work even now in Lucy’s life. Praying for Lucy! Thanks for the update. God IS faithful! We have been calling several times to 919 630 3730 but no answer and the mail box is full, no response to Pg’s e-mail address. we are praying that Lucy will recover quickly from this painful medical problem and will soon be completely healed. what hospital is she in? Let us know if we can help in anyway. Love dawn and andy Anderson 919 344-9202.